Some nights you just have it. You can feel it in the building, you can see it on the player’s faces, and perhaps even an assistant coach is celebrating a birthday with another one doing the same the following day. With that said, happy birthday to Legends Assistant Coaches George Galanopoulos and Charlie Bell, who played a part of the puzzle that was a huge win on Saturday night. 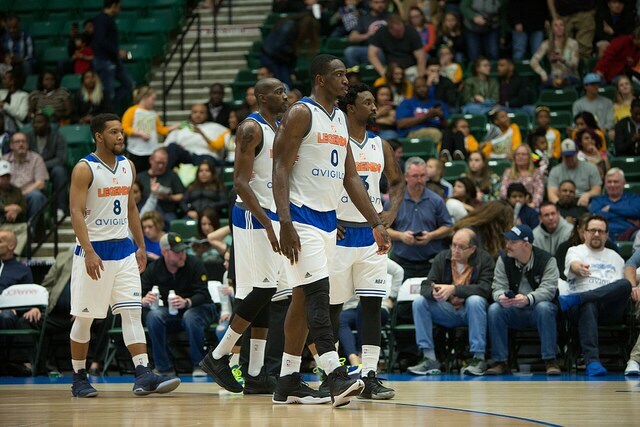 In front of 6,311 very noisy fans –many on the cusp of spring break and many more finishing theirs off strong– the Legends (21-20) absolutely dismantled the Delaware 87ers (22-20), D-League affiliate of the Philadelphia 76ers, 131-92. Texas led by as many as 45 points and after an even first quarter, outscored Delaware by 17 in the second quarter, 12 in the third and 10 in the fourth. Gordon caught fire in the second quarter and picked up 17 points in what proved to be the decisive period of the game that saw the Legends break away. The 2005 NBA Sixth Man of the Year continues to shoot fireballs off the bench, a familiar, comfortable and effective spot for him. Tonight’s game sets a new season-high in win margin at 39 points. Back in November during the second week of the season, they defeated Salt Lake by 33, only to blow past the mark this evening. Jameel Warney finished the season-long eight game homestand in style. The team’s starting center picked up a monstrous 24 point, 20 rebound double-double. With the game out of hand, he still got his chance to hit the 20-20 milestone. Warney had games of 35, 30, 27, 26 and 24 points during the long stay at home to go along with high rebound totals of 20, 15, 14, 12 and 10. He and his teammates dominated the game from the second quarter on and scored 107 points in the final three quarters alone. Like Warney says, the Legends will now hit the road for the first time since Valentine’s Day as they visit the Memphis Grizzlies’ affiliate, the Iowa Energy, on Monday night at 7 PM CT.